1959 was a time of change for the automobile market. 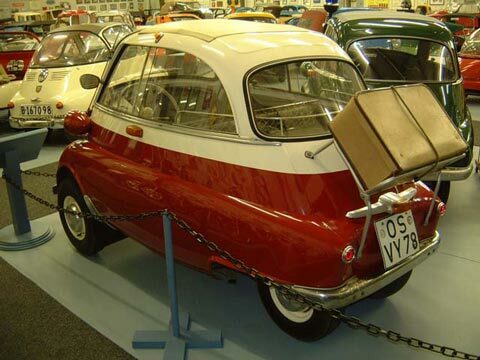 While the Isetta was celebrated as having "the most value for money on the German market", statistics told a different story. Daily production was way down, and twice as many new Goggomobils were registered as Isettas. The car received cosmetic improvements: a new sweeping script on the door, a new wide taillight casting ("swallowtail"), second wiper arm if ordered, and a headlamp flasher, as well as a different aluminum molding below the side window (where the two-tone paint came to now). This car came from Bad Iburg and can be seen in several books.